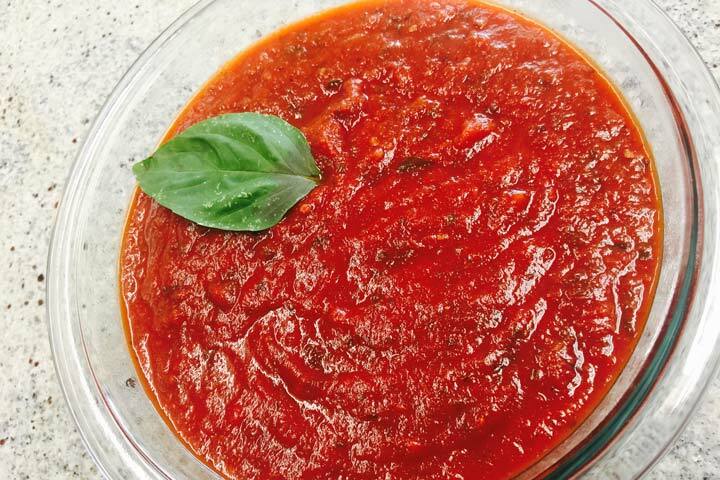 Quick and easy homemade marinara sauce recipe. So easy, delicious and customizable, you won’t want to buy store brand ever again! Oregano and basil are the spices used here, but you can adjust to your tastes. Add olive oil to large pot and saute chopped onion, celery and garlic on medium heat for 4-5 minutes. Add crushed tomatoes, spices, and 1 Tablespoon of the sugar. Reduce heat and let simmer for 20-30 minutes. Add spices and sugar to taste. Serve on pasta, pizza, etc. Can use fresh or dried herbs, but may want to add more if using fresh. Typically 1 teaspoon of dried equals 3 teaspoons of fresh herbs, depending on how compact the measurement.